Most Yankees fans will remember Astros ace Dallas Keuchel from the 2015 Wild Card game. He dominated that night at Yankee Stadium and sent the Pinstripes home early. It didn't end there, though. Keuchel has the best ERA against the Yankees of any pitcher in the past 60 years. They can expect to see Keuchel twice this series, possibly even three times. They need to figure him out ASAP. 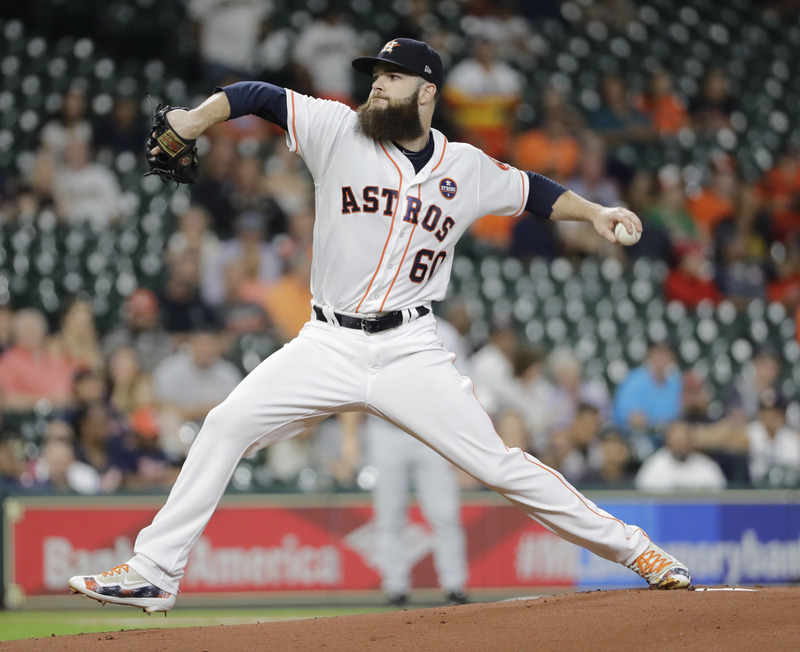 Houston Astros starting pitcher Dallas Keuchel throws against the Chicago White Sox during the first inning of a baseball game Thursday, Sept. 21, 2017, in Houston. If Aaron Judge doesn't win the American League MVP, it will be because he was beat out by Houston's Jose Altuve. The 5'6" second baseman hit .346 during the regular season and he's hitting north of .500 in the postseason. He's the deadliest combination of speed and power in the league and, you could argue, the overall best player in baseball. 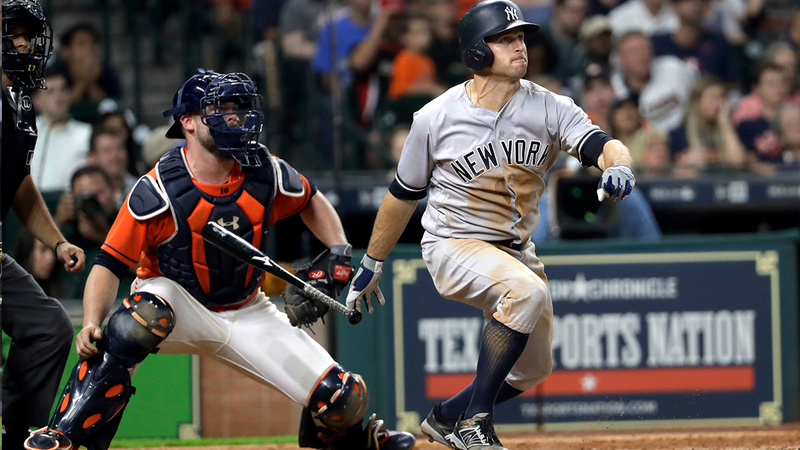 The Astros have a ton of weapons in their lineup, but Altuve will provide the biggest obstacle for Yankees pitching in this series. The Yankees beat the Indians in spite of Aaron Judge. After coming out of his late-season slump in September, Judge went backwards during the division series. He got just one hit and struck out 16 times, which is an ALDS record. This comes after breaking the MLB record for consecutive games with a strikeout during the regular season. The Yanks snuck by without help from Judge in the previous series, but they won't be able to do it twice. For all the flack Joe Girardi took for (among other things) pulling CC Sabathia after 77 pitches in Game 2, he went back to the well in Game 5. Sabathia cruised through the first 4 innings, but was struggling in the 5th when he was pulled after 69 pitches. His decision was immediately rewarded by David Robertson, who got the double play ball he needed to get out of the jam. The bullpen took care of business the rest of the game, as they did most of the season. Girardi shouldn't hesitate to go to his relievers early and often. The bottom of the Yankees lineup was disastrous in the ALDS. Jacoby Ellsbury and Chase Headley combined to go 0-20 with 8 strikeouts. Houston doesn't have any holes in their lineup and, right now, the Yankees have a couple of glaring holes in theirs. Matt Holliday didn't get into any game in the ALDS, but it might be time to turn to the veteran, especially if Ellsbury and Headley can't figure things out. Cleveland may have finished with the better record, but Houston is just as good, if not better. They were numbers 1 and 1a in the American League this year. The Yankees definitely have momentum on their side right now, but they're going to need more than that if they hope to advance to the World Series.